Web Design Youtube Channels List. The Best Web Design Youtube Channels from thousands of top Web Design Youtube Channels in our index using search and social metrics. Data will be refreshed once a week. About Youtuber Hi there! I’m a 25 year old web developer, and YouTube creator based in Johannesburg South Africa. I make web design and web development tutorials. About Youtuber I started building websites in 1994 and have been teaching web design and programming for over 10yrs! Now I'm actively helping teachers teach web design and programming in the classroom (K12 and Colleges) with Studioweb. About Youtuber Highly innovative, passionate and successful senior UI/UX designer with high proficiencies in Visual UI Design, User Experience, Usability, Interaction Design, Information Architecture, Research & Analytics, XHTML/CSS and Strategy & Planning. Recognized as a talented creative leader with a unique skill-set that spans various disciplines from design to front-end development. About Youtuber This channel is made by a designer for designers. I create tutorials about Sketch, Adobe XD, InVision, Marvel & Principle and all the other UI/UX tools out there. New videos include topics about UI/UX, freelancing, life as a designer and much more. About Youtuber Hello there! I'm Charli and I'm a web and graphic designer from New Zealand currently living in London and posting design videos every Saturday about tools, projects, and concepts and vlogs every Tuesday about my life as a designer. About Youtuber This is the official YouTube channel for CSS-Tricks, a web design community curated by Chris Coyier. About Youtuber DevTips will be of interest to you if you are a web designer who wants to improve your skills and if you need to learn more about coding CSS, HTML5 and other relevant topics. About Youtuber Mt. Mograph exists to provide an accessible and free education about design and motion graphics. About Youtuber Hi, I'm Gary. I've created over 60 courses from graphic design to advanced frontend development. I've worked with Envato Network's TutsPlus.com, DigitalTutors.com, Pluralsight.com and soon, LinkedIn & Lynda.com. Coursetro is an online video training library for learning design and development, all from a single instructor (Gary Simon) with nearly 2 decades experience as a full stack developer. About Youtuber We're going to learn about programming, web design, responsive web design, Reactjs, Django, Python, web scraping, games, forms applications and more! About Youtuber Gigantic provides Easy Illustration and 2D Animation Course. The world of skills with which you will easily achieve your dreams. The tutorials are easy and go straight to the point. You will learn a lot in a short time. About Youtuber Make your free website with Wix.com. We have everything you need to create your own stunning website and get online. Wix is more than just a website builder, It's a community of 78 million people worldwide. We're always here to help with all of your 'how to' website questions. Check out our tutorials, testimonials, reviews, commercials, fun videos - and more. About Youtuber Curious about the features and functionality of Google Web Designer and how you can best utilize it to create content? Check out our videos to learn more. About Youtuber A channel dedicated to all things related to User Experience and User Interface design. About Youtuber Welcome to my Channel. Here you will get tutorials related to Website Development and Designing in English and Hindi language with simple explanation step by step. About Youtuber Learn how to develop modern websites with HTML, CSS and more! About Youtuber Ran Segall is a Designer, Co-Founder & Product of Prospero. He is also a Daily Vlogger. Flux is the personal vlog of Ran Segall, a designer and entrepreneur. On the show I'm sharing my journey, struggles and lessons I learn as I build my career as a designer and a business owner. About Youtuber InVision’s official channel to get tips and tutorials on design, prototyping, using InVision, new feature announcements, and much, much more. We provide design tools and educational resources for teams to navigate every stage of the product design process, from ideation to development. About Youtuber Bringing clarity to how the best companies approach, communicate, and deploy design. A video-series on design and design thinking. We're sitting down with 25 masters of the design industry to learn how the best companies approach, communicate and deploy design. About Youtuber I post Tutorials and Speed art videos about UI and Web Design. Have a great day everyone! About Youtuber Hi, my name is Garrett and welcome to my Youtube channel. I make videos about entrepreneurship, technology, and tutorials on whatever I'm currently learning. About Youtuber I'm a web designer trying to make a living in San Francisco. About Youtuber Design and develop for the web — visually. Build dynamic, responsive websites without writing code. Launch with a click, and enjoy the fastest, most reliable hosting on the web. Or export clean, semantic code to hand off to your devs. About Youtuber Jesse Showalter shares Digital Design & Web Development videos each week focusing on tools, techniques, projects, and more to help creative people make amazing things. If you're an aspiring Web Designer, UI Designer, or Front-End Developer who is interested in creating awesome things in pixels and code, make sure to subscribe for helpful training videos. About Youtuber Provides high quality website design solutions. About Youtuber Web designing using PHP and Bootstrap Technologies. About Youtuber A variety of concise and easy to follow tutorials for any graphic designer looking to improve their skills. About Youtuber TutorialWebDesign.com is a conglomeration of three words, namely Tutorial, Web and Design. As its name suggests, TutorialWebDesign.com provides you online tutorials on website making, web designing techniques and other related components. Whether you are a beginner, an expert or an established web firm, we are here to helping out all in many ways. About Youtuber We're an International Web Design company that creates effective websites and internet marketing for businesses and we develop and manage web services for corporations in NZ and the US. About Youtuber We work across a wide range of disciplines, including web design, web development, search engine optimisation (SEO), databases, hosting, domain registration, e-commerce, flash, HTML5, galleries, content management systems for existing or new websites, logos, mobile apps, Cross-platform applications, print and we always work closely with our customers through all the stages of the creative process. About Youtuber This channel is the home for all videos uploaded to Web-Crunch.com. Web-Crunch is a blog about design, development, and entrepreneurship. 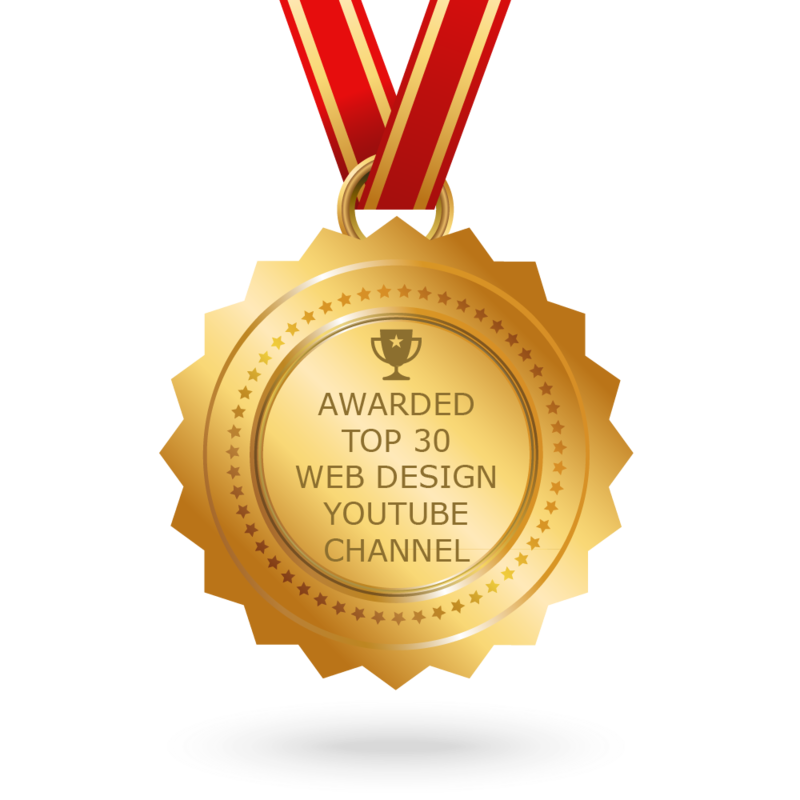 CONGRATULATIONS to every youtuber that has made this Top Web Design Youtube Channels list! This is the most comprehensive list of best Web Design Youtube Channels on the internet and I’m honoured to have you as part of this! I personally give you a high-five and want to thank you for your contribution to this world.